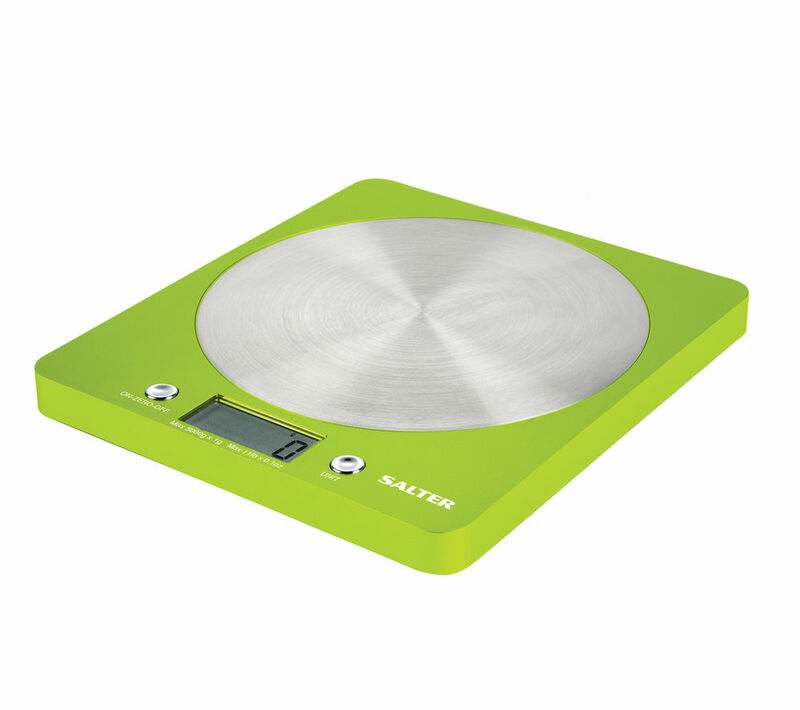 The lime green Salter 1046 GNDR Colour Weigh Digital Kitchen Scales have all the features you need for easy and enjoyable cooking at home. 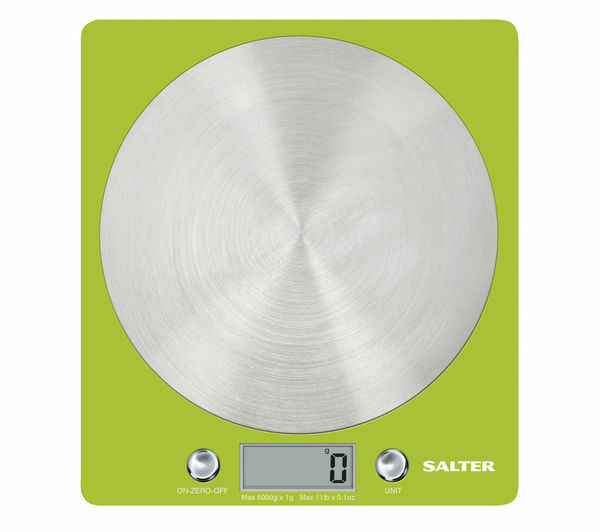 Whether you're weighing liquid or flour, the Salter 1046 GNDR scales will deliver precise results in metric or imperial measurements. 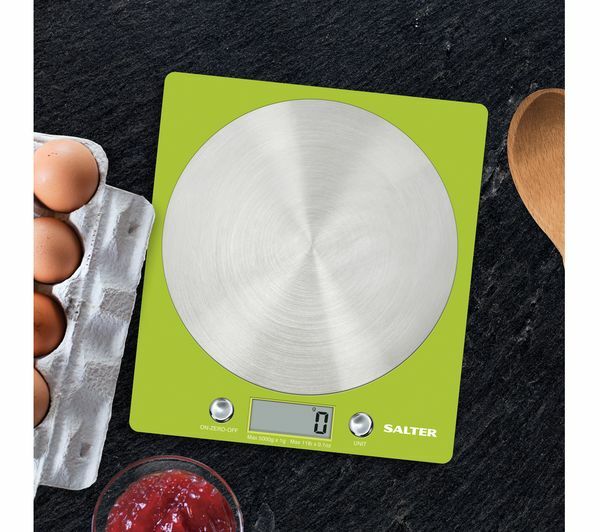 The Salter Colour Weigh Digital Kitchen Scales feature an add-and-weigh function, so you can weigh all the ingredients you need using just one bowl. The clear LCD display on the Colour Weigh Scales makes it easy to stay on top of your food preparation, and the auto-off feature will help to preserve battery life. 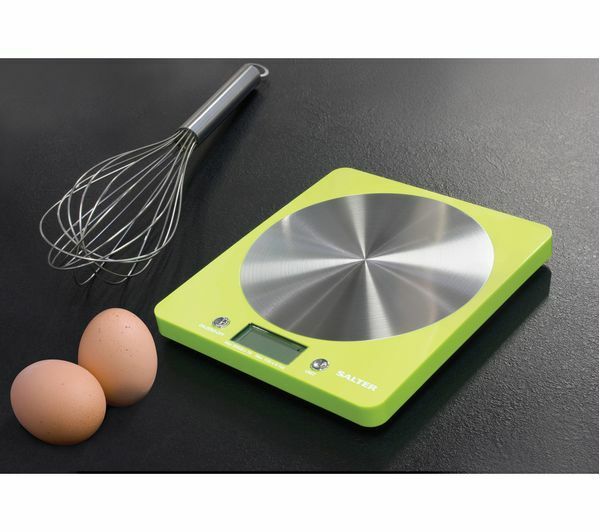 These electronic scales boast an ultra-slim, playful lime green design, with an easy-clean stainless steel disk. 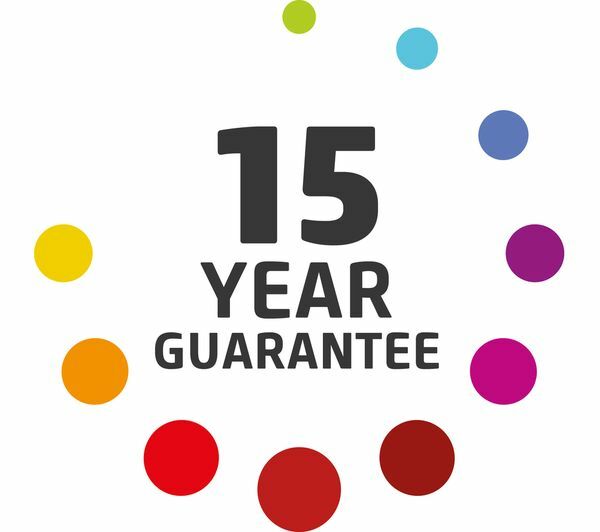 Complete with a 15-year manufacturer's guarantee, the Salter 1046 GNDR Colour Weigh Digital Kitchen Scales are essential for achieving great home cooking results.